That last questions may be a post for a different day because it’s not an easy one to answer. For now, let’s tackle the question in the headline. I’ll start with the most personal first – I grew up on stories of Mary Dyer because my great-grandmother deeply admired her. She even traveled from Philly to Boston for the sole purpose of seeing the Mary Dyer statue in front of the Massachusetts Statehouse. Less personal, but… when I was kid, there were no books on Mary Dyer that I could read. Fast forward 30 years later, and there still aren’t any middle-grade books about her. I had to correct that. Children will find her courage in the face of danger inspiring. For a humble woman, she had real backbone. She’s a civil rights hero who hasn’t gotten her due. Mary Dyer spent two decades fighting for religious freedom before she was hanged simply for the “crime” of being a Quaker. Her journey from loving wife and mother to religious advocate is absolutely fascinating. Despite her death, we still see religious intolerance, from the ridiculous (“President Obama is a Muslim!” said with hatred and not, “Oh, the president’s a Muslim” (which, of course, he isn’t)); to the troubling (President George W. Bush saying Wicca “is not a real religion”); to the impactful (The Hobby Lobby ruling); to the deadly (the shootings at two Jewish community centers in Kansas this past April, killing three Christians). Mary Dyer, Friend of Freedom is ultimately a book about civil rights. There are picture books and middle-grade books about many of our greatest civil rights leaders – Martin Luther King, Abraham Lincoln, Rosa Parks, Cesar Chavez, Elizabeth Cady Stanton, Susan B. Anthony – and there should be. Children love reading about these leaders because they take courage from their examples. Yet very little is written about the issue of religious civil rights despite a strong war of words revealing plenty of intolerance and ridicule. I thought it was time to write about someone who stood up and was willing to die for religious freedom, separation of church and state, and everything else we should hold dear in the First Amendment. So why did I write Mary Dyer, Friend of Freedom? Because Mary Dyer is a hero, and it’s time children come to be as inspired by her as they are our other great civil rights leaders. Please order your copy here and help your children (or grandchildren) learn more about Mary Dyer. Thanks! 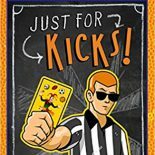 This entry was posted on September 2, 2014 by johnbriggsbooks in Children's Books, History, Mary Dyer, Writing and tagged children's books, Mary Dyer, non-fiction children's books. american history.